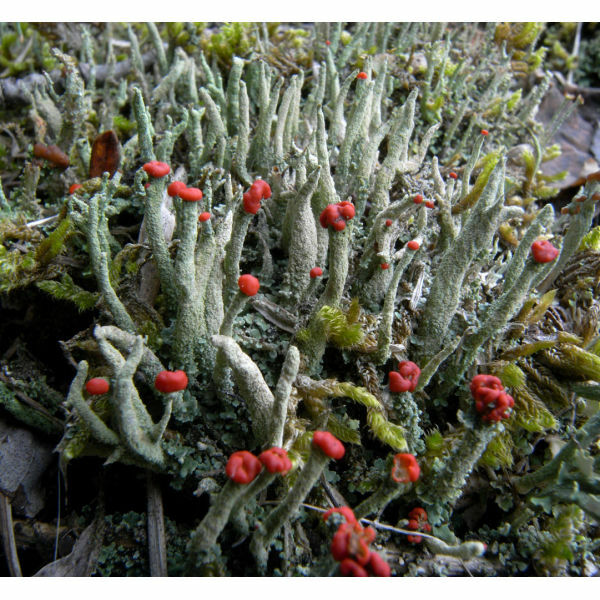 This fruticose lichen species grows on the ground, rotten tree, and trunk bases of conifers. In Japan, it is widely distributed from the lowland to mountains. Photo by H.Harada; Ichihara-shi, Chiba-ken, Japan, 13 September 2007. ©2016 日本地衣学会 The Japanese Society for Lichenology. All rights reserved.